Vito Bonanno lives and works in New Haven, CT. 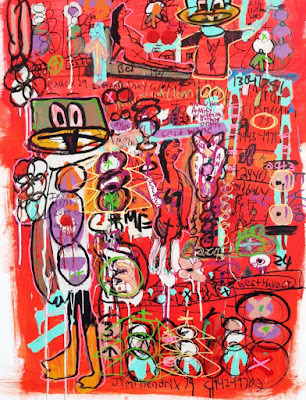 He has exhibited in solo exhibitions at Spectrum Miami during Art Basel in Miami, FL, Umbrella Arts Gallery, NYC and Akus Gallery, Willimantic, CT. His numerous group exhibitions include a sold out exhibition at Metro Curates, NYC in 2014, Uarts & CT Places, Hartford, CT, New England ADA, Boston, Ma, The Outsider Art Fair, NY and Intuit Outsider Art Fair, Chicago. 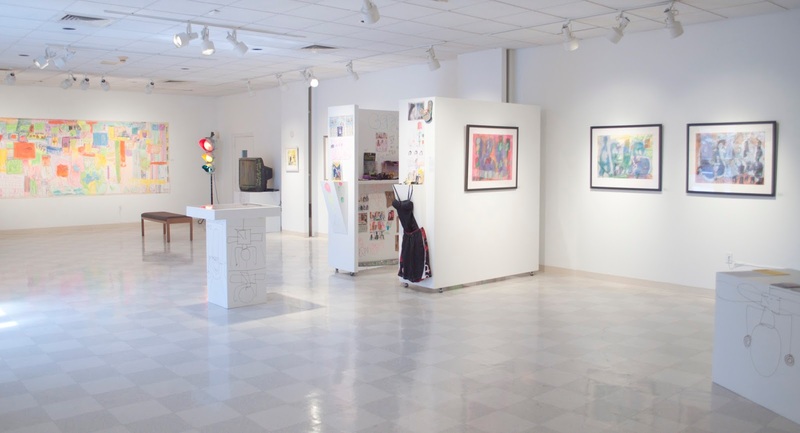 In 2009, Bonanno won an Award of Excellence in a juried competition for young people with disabilities, produced by VSA Arts and sponsored by Volkswagen in 2009. He was named one of 15 emerging young artists with disabilities and was honored during the artist reception in Washington, DC. 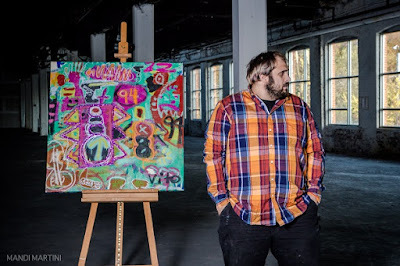 His winning pieces, “Ghost Town on Davenport Avenue” was exhibited at the S. Dillon Ripley Center of the Smithsonian Institute in Washington, D.C. and then was part of a traveling exhibition that went on a two year nationwide tour of university and independent galleries. Additionally, a second winning piece titled “Southhaven People”, was on exhibit at the John F. Kennedy Center for the Performing Arts, Washington, D.C. before also partaking in the nationwide traveling exhibition that ran through September 2011. Akus Gallery, ECSU 2012 "unfiltered V: Vito Bonanno Riding with the Train Girls"
In January 2012, Bonanno unveiled his first SOLO EXHIBITION, “Unfiltered V: Vito Bonanno Riding with the Train Girls”, at Akus Gallery at Eastern Connecticut State University which included works on paper, canvas, video pieces, a student-artist interactive mural project and installations. 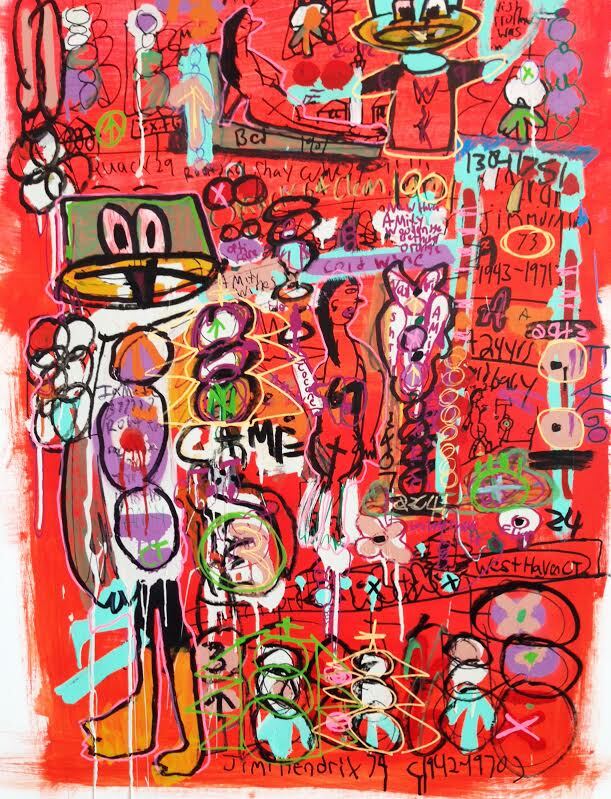 Akus Gallery Director, Elizabeth Peterson stated, “The characters, objects and ideas that inhabit Vito Bonanno’s work act and interact in striking ways. Caught within the grids and map-like structures he imagines, they are often in a struggle between multiple worlds. He has found a way to tap in the intensity of focus and insight afforded him through autism to unleash a formidable creative power and vision”. 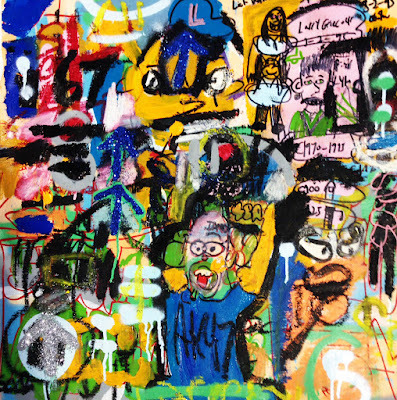 'Skate Park Krusty' 2014. Obsessions & Meditations series. 1st in Show, Art Olympia Competition Tokyo, Japan 2015.